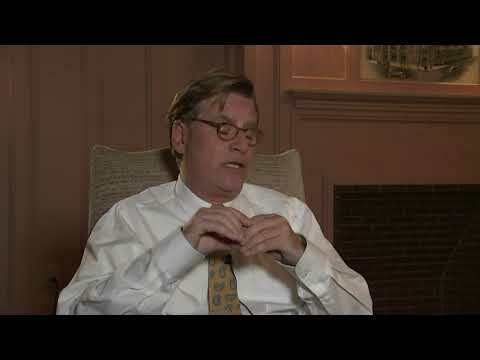 NEW YORK (AP) — Aaron Sorkin is a huge fan of courtroom dramas, both as a reader and as a watcher. His first Broadway play was the swashbuckling military justice story, "A Few Good Men," and he's returned with another legal thriller this winter. But this time he had to shake off a real courtroom drama. NEW YORK (AP) — A New York judge says she'll preside over a June trial over the disputed Broadway production of Harper Lee's "To Kill a Mockingbird," if an Alabama judge allows it. Judge Analisa Torres set a June 4 trial date Monday. She says the trial will occur if an Alabama judge concludes New York is the right venue to resolve the dispute between the production's producer and the late author's estate. MOBILE, Ala. (AP) — A lawyer for the estate of Harper Lee is trying to halt a lawsuit filed by a producer who plans to stage a Broadway production of the writer's classic "To Kill a Mockingbird." Court records show Lee attorney Tonja Carter on Tuesday asked a federal court in Alabama to block a federal lawsuit filed last week in New York by producer Scott Rudin's company, Rudinplay. NEW YORK (AP) — The producer of the Broadway production of Harper Lee's "To Kill a Mockingbird" has filed a countersuit against the executor of the late author's estate which challenged screenwriter Aaron Sorkin's adaptation of the Pulitzer Prize-winning novel. NANTUCKET, Mass. (AP) — Oscar-nominated writer and director Noah Baumbach is being honored at the Nantucket Film Festival in June. Organizers said Tuesday that actor Ben Stiller will present "The Squid and the Whale" creator with the festival's annual Screenwriters Tribute Award. BIRMINGHAM, Ala. (AP) — A Broadway production of Harper Lee's "To Kill a Mockingbird" is still set to open this year despite a lawsuit filed by the estate of the author, an attorney for the producer said. Jonathan Zavin, who represents Paul Rudin's Rudinplay Inc., said Thursday the adaption is scheduled to go on stage in December in New York "to the best of my knowledge." BIRMINGHAM, Ala. (AP) — The estate of "To Kill a Mockingbird" author Harper Lee has filed suit over an upcoming Broadway adaptation of the novel, arguing that screenwriter Aaron Sorkin's script wrongly alters Atticus Finch and other characters from the book. NEW YORK (AP) — Lisa Brennan-Jobs, daughter of the late Steve Jobs, has a book deal. Grove Press announced Wednesday that Brennan-Jobs is working on a coming-of-age memoir, "Small Fry." The book is scheduled for Sept. 4. CLEVELAND, Ohio -- Reboots and shows ripped from the headlines are two of the biggest trends in television. A "West Wing" revival featuring a Donald Trump-esque president would qualify as both, but series creator Aaron Sorkin says he has no interest in that. New ‘West Wing’ with Sterling K. Brown? We’re in ... but what about ‘This is Us’? A new version of "The West Wing"? Wow, that could be great. Sterling K. Brown as president? Casting genius. Brown leaving "This is Us"? Now, hold on a minute. Aaron Sorkin teased the idea of an updated "West Wing" in an interview with the Hollywood Reporter. He said he has a standing offer from NBC to reboot the series, which ran from 1999 to 2006. LOS ANGELES (AP) — Those looking to spend quality time with Chris O'Dowd, who made a splash as the endearingly patient cop in "Bridesmaids," have plenty of chances now and later. There's his role as hit man and aspiring movie producer Miles Daly in Epix's critically acclaimed "Get Shorty," (10 p.m. EDT Sunday), which gives O'Dowd the chance to be trademark funny as well as tough. It's already renewed for season two. Back Alley Productions is set to perform the Aaron Sorkin classic "A Few Good Men" at the Mars Theatre. The theater is located at 117 N Chattanooga St., LaFayette.. Performances are set for Fridays at 7:30 p.m. and Saturdays at 2:30 p.m. and 7:30 p.m., from through April 22. Tickets can be purchase online at BAPshows.com or in-person at the box office. Visit BAPshows.com/season-passes.html for information on season passes. Performances are set for Fridays at 7:30 p.m. and Saturdays at 2:30 p.m. and 7:30 p.m., from April 7 through April 22. Tickets can be purchase online at BAPshows.com or in-person at the box office. Can you ‘handle’ Purple Box military drama? Movie fans know the cry "You can't handle the truth!" from the 1992 film "A Few Good Men," but before Jack Nicholson played Col. Nathan Jessup onscreen, the character shook up audiences in person in the show's 1989 Broadway staging of the military courtroom drama. When Pearland's Phil Connolly auditioned for the role of Jessup at The Purple Box Theater, where Aaron Sorkin's "A Few Good Men" plays through March 4, Connolly understood the challenge of following in Nicholson's footsteps. There's never a hair out of place in "Miss Sloane ," a painstakingly slick political thriller from director John Madden about a brilliant lone wolf lobbyist consumed with the win. It's a wannabe Aaron Sorkin-meets-Shonda Rhimes glimpse into the hollow and cynical world of inside the beltway dealings from first-time screenwriter Jonathan Perera that's never quite snappy, insightful or salacious enough to be as fun or damning as it should be. President-elect Donald Trump's victory has prompted Oscar-winning screenwriter Aaron Sorkin to pen an open letter to his daughter and his ex-wife in which he slams the Republican and vows "the battle isn't over." Early on, Jed Bartlet (Martin Sheen) wasn’t intended to be a central figure in Aaron Sorkin’s White House drama “The West Wing.” But just try and imagine a world without all those great Bartlet monologues.